For the past 35 years Omnipure Filter Company has been revolutionizing the in-line filter industry. Meet our newest family member, the unique L-Series of filters. The L-Series was developed to offer our customers easy change-outs. Available with or without auto shutoff. The new L-Series offers a patented keyed design to ensure product integrity with a simple one-quarter turn. Made of highly durable injection-molded polypropylene, the L-Series is constructed from 100% NSF (National Sanitation Foundation) certified materials. 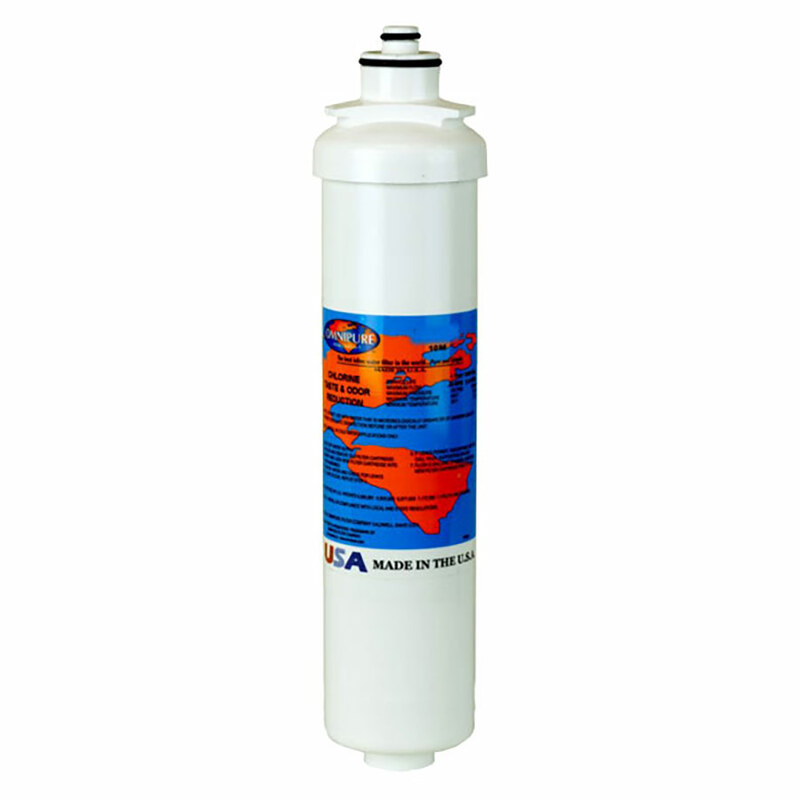 We offer a variety of standard media options including granular activated carbon (GAC) for taste and odor reduction, depth filtration media to address sand, grit and sediment problems that can clog or damage down line equipment and a special blend polyphosphate media designed to control scaling associated with hard water. The L-Series can also be ordered with the premium OmnipureBlock media. This family of carbon blocks utilizes technology that optimizes surface area for better contaminant absorption. OmnipureBlock is available in a high capacity ten micron activated carbon version and a water polishing, cysts reducing one micron version. A carbon/scale inhibitor and carbon/lead reduction version are available for your specific application needs.